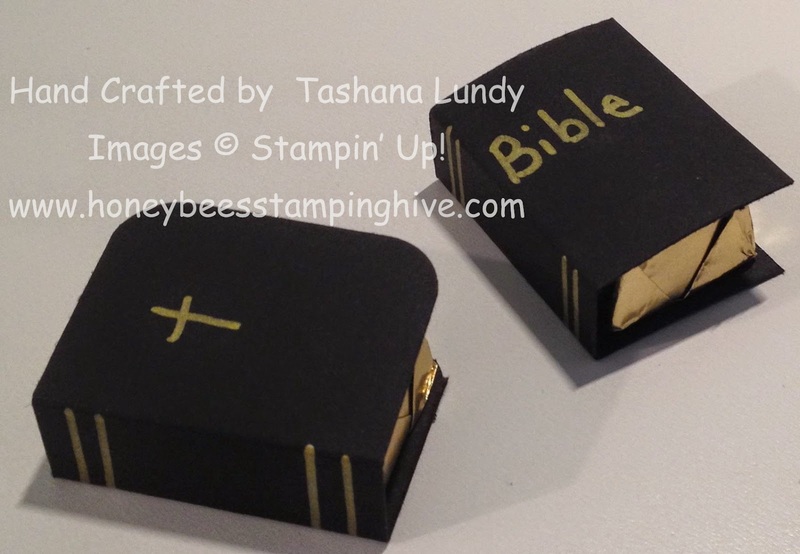 These cute little Candy Bibles were made for Easter. They were so quick and easy. These can easily be made into any type of book you would like. You can make them whatever color you want, round the corners or not and label them with whatever title you want. cut card stock: 2-3/4" x 1-1/2"
score in on both ends of long side at 1-1/8" to create the spine. These are just so cute! 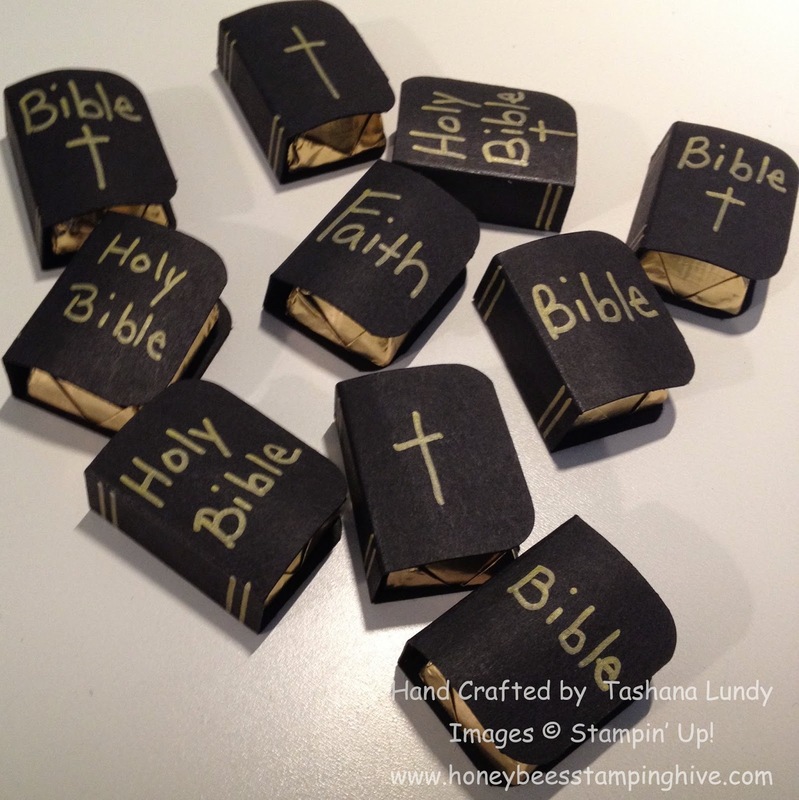 I am going to make some for the kids in my Sunday school class.